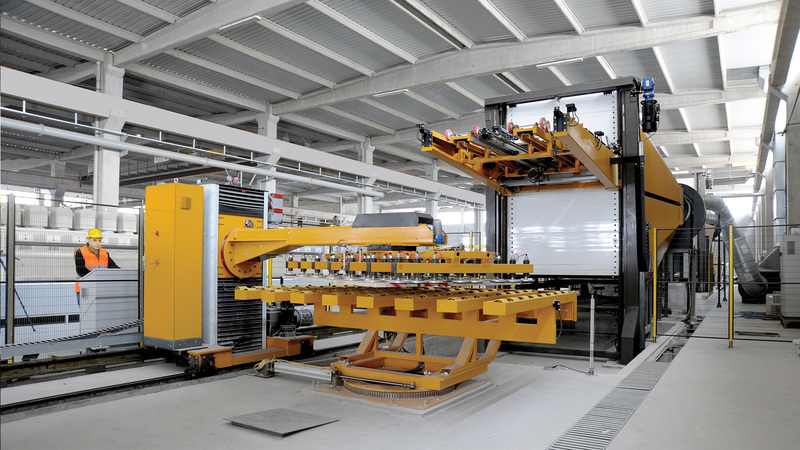 The production capacity our plants varies from a less of 6 slabs/h to a maximum of 70 slabs/h. The level of automation of the plant line depends on Customer’s requirements, whereas the heating systems of drying and catalysis machineries can be equipped with gas or electrical devices. The plants features are not pre settled, therefore each line is designed according to the Customer’s demands that is about the useful space in the company the needed production capacity and the material characteristics. All Prometec storehouses-ovens are manufactured with prime materials. 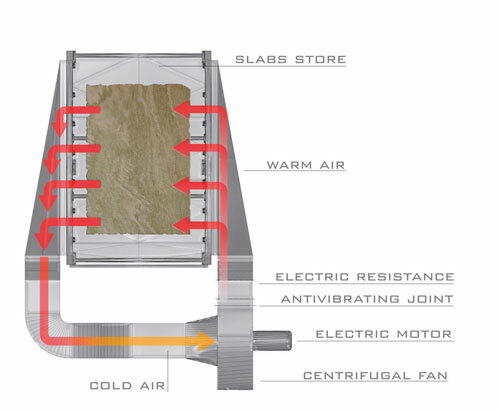 A better insulating system gets a lower loss of heat such as low power consumption. 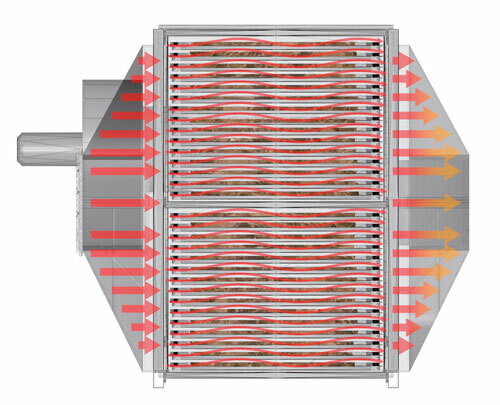 have been designed to obtain a faster and more uniform flow of the air with the same installed power. The internal walls of the storehouse have got particular slits, placed at the same height where the slabs will lay, this allows to homogeneously flow the hot air both towards the platforms and along the stone material. Each Prometec oven, both drying and hardening type, is equipped with a humidity/vapor extractor which checks the level of humidity keeping it constant.